Barbara explains both scientifically and metaphysically how we are all connected to this planet and universe. The recent events in the world have left the human race to search for answers. More and more evolutions of spirituallity are evolving and people want answers, as they themselves know that something is going on that is greater then themselves. Psychic Empowerment is a practical, step-by-step work book that guides you to develop your intuitive sense through your own analysis. The lessons refine intuition into a life-enhancing tool that can be used every day and in every aspect of your life. It is also noteworthy that published articles written by the author are associated with the lessons in this work book, benefiting its particular excellence and uniqueness. 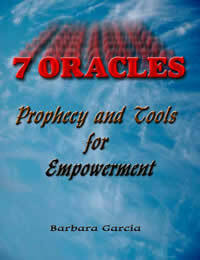 This work-book publication is a good companion to 7 Oracles, Prophecy and Empowerment or can be used alone. You can work at your own pace through remote viewing, dowsing, automatic writing, and derma optic perception. 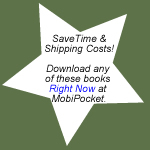 Book and Workbook Combination also available. 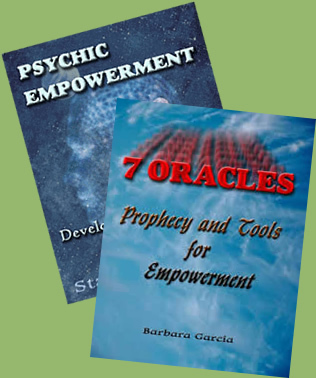 Get 7 Oracles and Psychic Empowerment Workbook together and save $3.98. From your reading you may receive certain information, advice or guidance, which is intended to be informative and/or helpful and should be followed only if you feel it is right for you. Barbara Garcia/Starmerge will not be responsible for any actions taken, or not taken, which may arise from any reliance on any information received during your reading.